Get the skills you need for the job you want. Whether you're interested in secretarial, Microsoft Office, keyboard skills, book-keeping and accounts, IT or any of our other courses, our training is designed to help both boost your confidence and enhance your skills. Helen Clarke runs 3 Counties Canine Massage Therapy and specialises in Remedial Massage for dogs, releasing tight, sore muscles, removing debilitating ‘knots’ or Trigger points that cause referred pain and helps to rehabilitate injuries by breaking down restrictive scar tissue. A.V.Brown and Sons Ltd are based in the beautiful town of Malvern. Founded by Anthony (Tony) Brown in 1972 they are a long established family business with an excellent reputation. 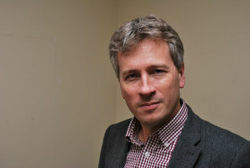 Steve Ollis is a qualified accountant based at the foot of the Malvern Hills. His friendly, ‘down to earth’ style in business continues to prove very popular across the three counties of Worcester, Hereford and Gloucester. For further details on Courses, Fitness, Leisure, Parent, Children and Sports classes please visit the related pages link below. Visit our pages below for further Educational Classes. Visit our Classes and Courses page for more local Fitness Classes. The moving image offers an extremely effective way of spreading your message. The rapid growth of online marketing channels makes it more important than ever to find affordable ways of making this happen. Please speak to James or visit the below link for further details on how the All About team can help you. We can help deliver your business leaflets to up to 32,000 local homes and businesses within Malvern, Malvern Wells, Welland, Bosbury, Colwall, Cradley, Mathon, Coddington, Storridge, Wellington Heath and Ledbury area. Also in St John's & Villages (Hallow, Broadheath, Rushwick, Bransford, Leigh Sinton, Callow End & Powick). Find out how the All About Team can help promote your business in print or online. Annie is a very experienced teacher who has developed a deep understanding of Yoga which she brings to her teaching. A Georgian County House in a beautiful setting. Set in its own lovely grounds and with unspoilt far reaching views across some of the most glorious countryside in England. The place to visit for all your beauty essentials. All treatments are carried out by Christine Wood, Award Winning Level 3 Beauty Therapist and Champion Nail Artist. With experience of preening the rich and famous at The Urban Retreat in Harrods, London, you are sure to enjoy your visit. If you're getting married, celebrating a birthday or throwing a party just because you can, then you need the ultimate DJ. Benny Smyth has enjoyed a DJ career that has spanned 18 years, and it all started when he was just 15! A small friendly gallery in a converted barn in the grounds of a 16th century farmhouse. Paintings, photographs, textiles,wood , glass, metalwork and ceramics celebrating the best of local talent , a resident silversmith's studio and a coffee shop serving local, homemade savouries and cakes. 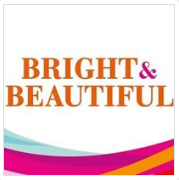 Bright & Beautiful is an award-winning concept in domestic homecare, providing eco-friendly cleaning, tidying, laundry and ironing. Buckingham House is a large well established dental practice in the centre of Great Malvern, Worcestershire. We provide a high level of professional dental care. Providing a personalised approach to delivering holistic nursing care to adults and children. Living and working in the Malvern Hills, Caro creates her art at her Worcestershire studio and in the USA, holding an annual Open Studio exhibition to showcase the year's work. Resting towards the top of the stunning Malvern Hills in an Area of Outstanding Natural Beauty, this holiday cottage oozes luxury, with stunning views. The village offers so many opportunities to enjoy an active social life in the company of new friends and neighbours. Here you can be as active or relaxed as you choose. A warm welcome awaits you at our large spacious showroom where you can browse our wide selection of samples at your leisure and our team are always on hand to offer you help and advice and guide you through our ranges. 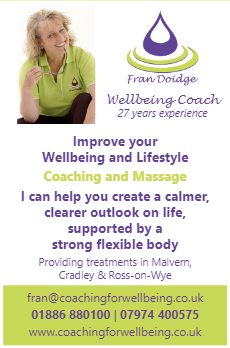 Coaching and Massage by Fran Doidge. Have you tried Clean 9? Look better and feel better by using some of the purest Aloe Vera products. County Windows & Conservatories (Malvern) Ltd.
County Windows & Conservatories is a well established company offering the very best in energy efficient windows, doors, conservatories, roof-line and glazing products. I am a BACP Accredited counsellor and psychotherapist working with individuals in Malvern. I work from a humanistic perspective, and am influenced by Buddhist psychology. I also offer supervision. Anna Mitchell is a ceramic artist based in Malvern, whose work is inspired by nature and walking. Her love of clay and all things wild can be traced back to her childhood; days spent digging clay from the stream at the bottom of the garden for her own creations. 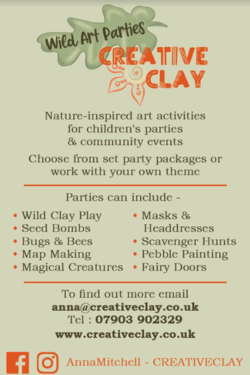 If this sounds like your child, they would love a 'Wild Art Party'! Experienced local surveyor, specialising in Home Buyer Reports, Building Surveys, Valuations for Tax, Probate etc. Commercial Insurance Broker offering a local service with a national presence. Fun & Safe Martial Arts Classes for ages 4+ to adults. The children's Martial Arts classes Worcester and Malvern are packed with fun and education about self defence and life skills such as confidence, self belief, discipline, health, focus and friendship. We teach our self defence at kids martial arts Worcester to very high standards. Our coaches are blackbelt instructors and are experienced in coaching kids of all abilities and ages. For more details please contact Richard. This is a new concept operating a dress agency linked with charity couture clothing which has been re-styled to be individual. 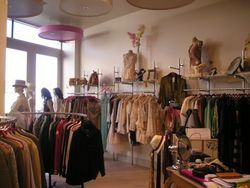 It also houses our vintage and retro clothing and offers a very different and unique experience for St Richard's Hospice customers - a chance to sell your high end clothing and receive something back whilst helping to support our cause. Please feel free to visit us and browse our regularly changing stock. For Driving School details, please visit the 'motoring' link below. For girls and boys of all ages! 30 years experience, learn to read drum music or sharpen up your technique. Eastnor Castle is a fairytale castle in the foothills of the Malverns. Special features include deer park, lake, arboretum. Open to the public at selected times. Available for exclusive hire - weddings, corporate, private parties. Elmslie House is located in the heart of Great Malvern offering something for everyone.... Hosting musical events through-out the year, art exhibitions, theatrical performances and exercise classes. An elegant venue which is available for hire. 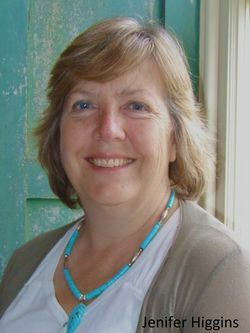 Jill Bray is a local author, writer, editor and proofreader. 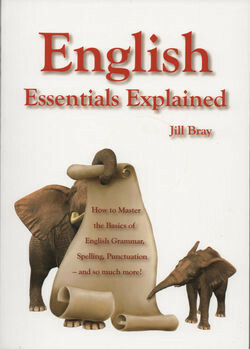 Please follow the related page link below to learn more about Jill and her new book, English Essentials Explained. 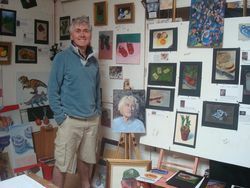 Eugene lives in Colwall and paints concepts from everyday family life here in England. You can subscribe to his 'imagefromthevillage.co.uk' emails, to receive an electronic copy of his latest painted image. ETC helps businesses reach their full potential, and business owners realise their ambitions, by harnessing the wealth of experience of its two directors Matthew Chuck and Doug D'Aubrey: "Our purpose at ETC is to help your business, whatever its size and specialism, to grow, become more profitable, and achieve your ambitions." Native French Speaker and Teacher. Please contact Marie to find out how she can help you. Please see also our related link for your Graphic Design and IT Services. 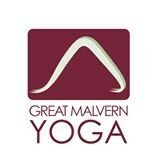 Great Malvern Yoga is a dedicated yoga studio in the heart of Great Malvern. Housed in a newly refurbished room at 73 Church Street, Great Malvern. The studio is a unique and tranquil sanctuary, offering you the chance to get away from the hustle and bustle of daily life for a while. Classes will tone and strengthen the body and enhance relaxation and clarity of mind. Complete Design & Construction Service. Older & Country Properties a Speciality. H20 Cafe is open seven days a week from 9.30am until 4.30pm (it might be closed on some Wednesdays so please check before heading out). Groups of walkers and cyclists are very welcome. Cafe H20 is run as a co-operative by people with learning disabilities. Halo Sports and Leisure have something for all members of the family! We are an independent, established and well respected cleaning and housekeeping service located in Malvern, Worcestershire. Live performances, shows, music, entertainment - Huntingdon Hall has something for everyone! Stocking both top branded sports equipment & clothing along with bespoke quality sporting products. I'm an experienced freelance website designer specialising in wordpress websites, ecommerce stores and web hosting. I aim to build easy to use, well thought-out and search engine friendly websites that stand the test of time and improve the image of your business/organisation. An established local family run business. No call out fees. Domestic electrics (NICEIC), bathroom refits, plastering, plumbing, tiling, painting and general property maintenance. Jones uPVC will meet all your uPVC needs with replacement windows or doors, repairs to your existing double-glazing including misted double glazing replacement service, bi-fold door to replace your patio door. Replacement of fascias, soffits and guttering with low maintenance uPVC versions. Jones uPVC have many options available to enhance your home. Anxiety, depression, anger management, abuse, low self esteem? Whatever the source of your pain, turning for help can be a frightening leap into the unknown. 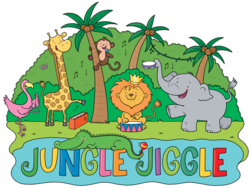 A fun, interactive jungle-themed music group specifically designed for your babies, toddlers and pre-schoolers to enjoy and develop those all important Early Years skills. Pat Tromans is a teacher and writer who aims to encourage anyone who feels the urge to write. The Kumon maths and English study programmes enable students of all ages and abilities to achieve. Our aim is for each and every child to become an independent, advanced learner, with a positive attitude to study. Learn French or Spanish in fun, pressure-free, daytime classes. We have been supplying and fitting the finest in flooring and interiors for over 30 years. Our showrooms on the Ledbury bypass feature an extensive samples of floorings such as Carpets, Karndean, Hardwood, Naturals and more alongside classic and contemporary Blinds, Shutters and Curtains. 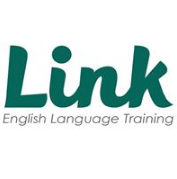 Learning English in a supportive, friendly environment! One-to-one and small group lessons for adults. Nestled at the foot of the inspirational Malvern Hills, in the village of Welland, Lovells Vineyard is a family run English vineyard established in 2010. Pictures, framing, gifts & greetings cards. Manufacturers of Internal and External Blinds. 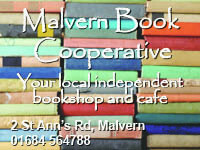 Malvern Book Cooperative sell a wide range of new books and book related gifts. We also have a small cafe where you can enjoy a fresh coffee and some delicious home made cake. Off Licence in Malvern. Hosting tastings and events. Award winning home improvement experts. Malvern Glass is an established and reputable installer of quality windows, doors and conservatories in a wide variety of materials to meet any budget. One main rule: everything posted must be FREE. This group is part of The Freecycle Network (TM), a nonprofit organization interested in keeping items out of landfills. Check out freecycle.org for other towns and more info! Malvern Hills Gallery is a unique art gallery located in Malvern. Here you can find hand made cards, local craft work, stained glass, fine art and much more. Malvern Mindfulness provides Mindfulness Based Stress Reduction Courses. Mindfulness aids both your physical and mental health and general well being. For purchase, hire, repair, service and maintenance of machinery; tractors, mowers, strimmers, hedge trimmers and chainsaws for the trade and public. Young, enthusiastic piano teacher. Learn to play for fun or for exams with film, show and classical music tailored to you. Nestling at the foot of the dramatic Malvern hills, Malvern Theatres is a major centre for the arts in the West Midlands. Home of the famous Malvern Festivals, founded by Bernard Shaw and Barry Jackson in 1929, the theatre has recently celebrated the tenth anniversary of a £7.2 million refurbishment. Marvin Goodger Carpentry offers an experienced, friendly, reliable, local and personal Carpentry service. McCarthy and Stone are the UK’s leading developer of retirement apartments, specialising in designing property for later life. They have been building award winning retirement apartments for over 30 years and more than 45,000 buyers have chosen the McCarthy & Stone way of life. Mercian Carpets & Flooring are a long established family business based in Worcestershire providing contract and domestic flooring to a nationwide client base. MM Lock Secure has been serving the Three Counties area since 1987 with professional and highly experienced service to the public and industry. MSJ Sports and Fitness Centre is situated in the heart of Great Malvern and our ethos is simple - we are here to help you reach a fitter, healthier, happier you. Our centre is filled with staff who love what they do and thrive on your results. Season runs from Easter to early September. Newland Poultry is a small family run business based at the foot of the Malvern Hills in Worcestershire. We welcome newcomers to chicken keeping, and are happy to offer plenty of help and advice. We have an extensive range of equipment, chicken housing, chickens and feed and can supply you with everything you need to start this interesting, addictive hobby. 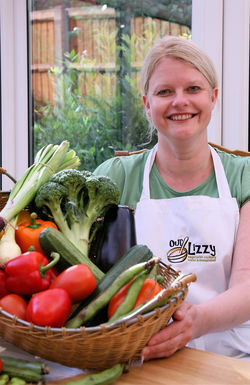 Vegetarian cookery courses and demonstrations. Cookery days are held in a purpose built kitchen. Caters for a range of tastes including Meals in Minutes, seasonal themes, entertaining, specialist ingredients and allergies. Demonstrations can be booked at your club, society or place of work. Gift vouchers are available for presents. PACKLEADER - Beccy Mair is Malvern based and offers services in dog behaviour, dog grooming, dog walking and dog sitting….pretty much all things dog! Fun, patient, highly experienced teacher. Please contact Tim for more details. Pippa's Guardians Ltd is a well established Guardianship Organisation, with a longstanding reputation for quality and excellence. It offers the highest standards of care to each one of its international students and enjoys fruitful, enduring relationships with all of its schools and homestays. Equally, overseas parents register high levels of satisfaction with their personalised approach, confident that their child is well supported and nurtured. Ready-Rent are a hire company based in Worcestershire specialising in the hire of small plant equipment. The benefits of relaxation, mindfulness and meditation in improving mental health are well documented. Relax Kids has been introducing children to relaxation for over 10 years. Large hall and small meeting room with refurbished kitchen available for hire. Local Food Hub, Farm Shop and Kitchen Café. Come and visit our Bakehouse, we bake real bread every week! Feeling fed up with those problem jobs, whether big or small, that never seem to get done? Wanting to keep your property in tip top condition? SOS is here to help! Please call Ed for free estimates & friendly advice. Beautiful Jewellery created by Carol from Silverfish Designs. She lives and works on the side of the Malvern Hills and you can see her at work in the Little Studio at Blue Ginger Gallery, where she has her full range of work on display. with weight loss nutrition help and mind changing techniques. SoJo specialise in affordable web solutions for small businesses. Contact Sophie to find out how she can help you. St Richard's Hospice cares for patients and families in Worcestershire who are living with cancer and other life-threatening illnesses. Each year we give free care and support to around 2,300 patients and their families helping them towards the best quality of life possible. St Richard's is an independent registered charity. A little bit of what you like does you good, so at The Cake Tin Ruth makes cakes for you to enjoy with your friends and family whatever the occasion. Here at The Chase, the happiness of our children is our greatest priority. We know how important it is for our children to feel safe and confident in themselves if they are to thrive as healthy, caring and successful adults. Hotel & Outlook Restaurant set in the Malvern Hills with stunning views across the Cotswolds and Severn Valley, The Cottage in the Wood is the perfect place to relax and unwind. Offering flute lessons in Upper Colwall. Get a feel for our friendly, unintimidating environment and how we offer a service second to none. Enjoy a fantastic day for all ages set in a 10 acre maize field with the Malvern Hills as a fantastic backdrop. The Great Worcester Maze has lots to entertain for a full day out. Whether you choose to do a simple trail or be courageous and explore the large maze be sure to have a fantastic time, then play and relax in the adjoining courtyard with games such as; 'Goalie' Football, Rope Maze and many other giant garden games. Europe's first joint university and public library, The Hive is the result of the vision of the University of Worcester and Worcestershire County Council. The Hop Pocket Shopping Village is unique. It is a collection of independent shops offering an alternative to both the high street and characterless out of town shopping. We are a friendly online shop selling all-in-one cloth nappies and organic baby clothing. We stock nappies from TotsBots, BumGenius, Wonderoos, Bambino Mio, amongst others, and 100% organic cotton clothing from Frugi. Did you know you could save at least ï¿½500 by using cloth nappies rather than disposables on one child? Modern cloth nappies are so easy to use, kind to little one's skin, kind to the environment and kind to your pocket! We're happy to offer advice and answer any questions you may have. With more than 25 years' experience as a kitchen designer and hundreds of satisfied clients, trust us to fulfil your kitchen dreams! The Market Theatre in Ledbury Herefordshire is located right in the heart of Ledbury town. Home to Drama, Music and Cinema and a lot more. 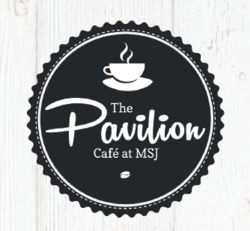 Serving a variety of hot drinks from flat whites to coconut lattes,light lunches, healthy snacks and a variety of delicious homemade cakes. 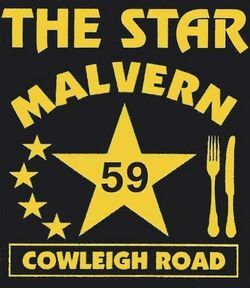 The Star Inn, the premier Chinese food restaurant in Malvern, Worcestershire. A hidden gem, with a wide choice of delicious authentic Chinese cuisine using the freshest ingredients. An innovation centre for entrepreneurs, by entrepreneurs. Located in an Area of Outstanding Natural Beauty on the side of the spectacular Malvern Hills, the Wyche Innovation Centre is a boutique business accelerator and technology incubator. Therapeutic Counselling provides an opportunity to talk over a concern or difficulty in confidence so that psychological and emotional pain can be resolved. The Radiance Technique® is a simple but powerful relaxation and meditation practice with the hands. Relaxation and meditation are well-known for reducing stress and accessing our inner wisdom. Please contact Jenifer or visit her website for more details. With over 250 days of events throughout the year, everyone can enjoy a great day out at the Three Counties Showground. Please visit our website for event information. Purpose built exhibition & conference facilities also available for hire. Reliable repair service for your conservatory offering a range of window upgrades to enhance the look of your conservatory. In addition to window repairs, we also offer roof replacement for your conservatories. Tree Time Arboricultural Services is a friendly and professional tree surgery business based in West Malvern and operating throughout Worcestershire, Herefordshire and Gloucestershire. We offer a wide range of tree services to both domestic and commercial clients. Westons Cider Mill, making cider since 1878. We are nestled deep in the heart of the Herefordshire countryside in the quintessential English village of Much Marcle. 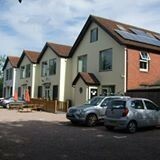 Situated in the Spa town of Malvern, this well established therapy centre has therapists and teachers coming together with over 20 years experience to provide natural health care from birth to old age for all the family. Rustic garden products, hurdles, plant supports, rustic furniture, bean poles, pea sticks, garden design, BBQ charcoal, firewood, Biochar, gifts made on the pole lathe, hedgelaying and craft courses including willow weaving, coppice craft and rustic furniture. Set in beautiful Herefordshire countryside, in an Area of Outstanding Natural Beauty, Wishing Well Lodge overlooks the Malvern Hills, and is perfectly located for a family holiday, group holiday or a romantic getaway. Priding ourselves on innovative coaching and working closely with each person. 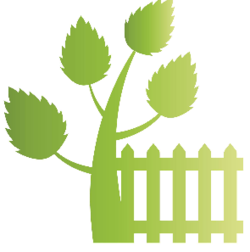 We are a local family run business providing commercial and domestic grounds maintenance, fencing and tree-surgery. One-off projects or contracts available. shoes, sling backs, boots and accessories. Shoe sizes 36 - 44 (UK3-10). Available in shop or online www.zinniashoes.co.uk". 20 Years of Experience resulting in Quality Landscape Design & Construction. Contact John Revell for a free quotation. Professional Flamenco and Belly Dance Entertainment. Please contact Claire Lucas for more details regarding dance entertainer hire and workshops. Based around the Malvern Hills Area. Offering bespoke search and selection services to businesses across the UK and internationally. All aspects of General Building, Plumbing and Heating undertaken. Please call Terry for more information or a free quotation. We cover HR : WR : GL Postcodes! Acacia Dental is a family dental practice which places great emphasis on providing all patients with preventive, professional dental care. Please contact Jennie Sheringham for further details. 15 years experience with a tailor made service. A favourable choice for fitted kitchens in Worcestershire! Caring for you and your family at your time of loss is why we are here and tailoring a funeral service to meet your needs is at the heart of everything that we do. Our Funeral Home is located in Malvern on the Wells Road before the British Camp. Delyes, Wells Road, Malvern, WR14 4JL. Creating & delivering personal tributes for non/semi religious Funeral Ceremonies. Please contact Andrew for a free quotation. 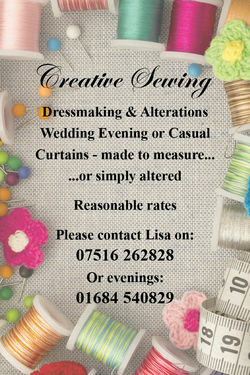 Based around the Worcestershire area. We template, fabricate and install these worktops nationally and employ digital templaters and installation teams. Our services range from domestic kitchen worktops to full commercial projects. Chartered Accountants and Chartered Tax Advisers. For your free initial consultation please phone Janet or Tracy. If you’re thinking about downsizing it’s a big decision, but it doesn’t mean wiping the slate clean. A retirement village provides self-contained properties with wide-ranging facilities and various care options which mean you can choose the lifestyle, involvement and level of help you want. Join us, Saturday morning 10-12 for coffee and cake to see what we have on offer. Malvern's rather nice card shop on Church Street in Malvern. Be a guest at your own Dinner Party with Bespoke Menu. Contact Dipti to start planning your perfect dinner party and discuss the options. Your pets are our pets! Plumbing, shelving, repairs of all sorts, woodwork, decorating, garden machinery maintenance. Just ask & if I can do it, I will ! Based in Malvern, Balens is one of the largest Insurance Brokers in the UK, specialising in insurance for Health and Well-being Professionals. 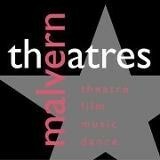 Ballet Malvern Centre of Dance offers Dance, Singing, Acting, Exercise and Performance classes for all ages. Visit us for all your main Post Office Services. Choose from a wide range of stationery, calendars & diaries, traditional sweets and chocolates, greetings cards and gifts for all ages. For a free design & quotation please contact Steve. Offering a wide range of beauty and holistic treatments. Sprains, strains, aches and pains? Please contact Fiona Lucas. Locally born and reared quality Aberdeen Angus Beef straight from our family farms in Madresfield and Lower Wick. 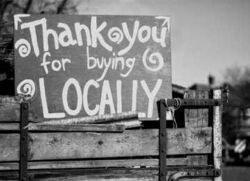 Please buy local to support Worcestershire farmers! Our beef is available fresh from the last Friday of the month or frozen any time. Collect beef from the Ice Cream Shop at Hayswood Farm, Madresfield (WR13 5AA). We also deliver locally or courier UK wide. Bertie B Design & Print offers a local design & print service right here in glorious Great Malvern. Offering free advice and local market knowledge. Let our experts keep your home clean! Bromyard Tile Showroom supplies a huge variety of quality, affordable tiles to both the trade and the public. Full grooming, De-matting, Puppy Packages, Nervous Dogs, De-Shedding, Claw Cutting. Free health checks carried out on all dogs before treatment. Pick up & Drop off service available. Friendly, reliable & affordable gardener. 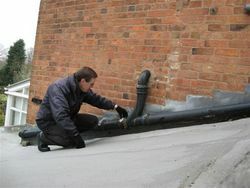 Handyman with a range of house maintenance services. We Pay Instant £'s for your unwanted clothing, paired footwear, handbags & accessories! Joanne is a professional pet sitter who is dedicated to providing quality in-home pet care while their owner is away. She has experience and knowledge of pet care, pet health, and pet behaviour. A pet care package can be tailored to work best with customer's needs. For a chat about your pet care needs please contact Joanne. Joanne is also a freelance photographer that loves capturing special memories on film. Specialising in photography of pets and children. Joanne is based in Malvern. Serving parts of Worcestershire, Herefordshire and Gloucestershire. Please contact Paul Scott for details. Are you organising a special event? A wedding or maybe a corporate gathering? Contact us for a free no-obligation quote and site visit. - Let the sun shine into your home with windows and doors from Clover. Finding your rhythm of life! ClubDanceUK has built up a reputation over the past 5 years of fabulous fun filled classes and sessions throughout Malvern and Worcester. We offer professional classes at an affordable price, together with local social events. Please contact Dawn-Marie for class timetable details. Various classes held at Holy Trinity Church Link Top Malvern, Christopher Whitehead Language Academy Dance Studio in Worcester, Newtown Club Newtown Road Malvern and at Rushwick Village Hall. MOT's available on site. Tyres and puncture repairs available for any make of vehicle. Locally based specialist in small business, self employed and personal taxation. Office base in the Malvern Hills area. Pilates is a unique method of body conditioning combining muscular strength with flexibility and breathing, creating a synergy of movement from the core, to the shoulders, to the pelvis, helping maintain or restore muscle balance. Cellar conversions and flood protection & recovery. Based in the Malvern Hills area. Specialising in all aspects of plastering, floor screeding, floor & wall tiling, painting and decorating. Based around the Malvern Hills and Ledbury area. Accounts, Tax Returns, Tax Advice, VAT, Farm Accounts, Payroll Bureau, Bookkeeping Support. Formerly Knights Cider, we have a large range of locally grown / made products including fresh produce, beer, ciders, wines, condiments, meats and cheese. Cygnul Ltd are a friendly company offering a comprehensive package of business support services by experienced staff. Plumbing, heating, boilers, bathrooms and general household maintenance. Please contact Debs for details. Deckbuilders are a highly professional company with a passion for innovative design and quality construction. We are timber decking specialists committed to exceptional customer service. Please contact us to arrange a show area visit at our Head Office or find out how we can help you. Have you always wanted the kitchen of your dreams, but can't quite justify paying the expensive price tag that comes with it? For a free estimate and help with planning, please contact Mark. If you or someone you know finds getting out and about difficult, is feeling slightly isolated or simply needs support getting from A to B, there's a friendly community companion service in Great Malvern that goes that extra mile. A charming country pub serving food, specialising in fresh fish & seafood. Enjoy fresh home-made, high quality food in a warm and friendly pub. Stocking our Eclectic range of jackets and accessories. Qualified and Experienced Tutor offering one-to-one, multi-sensory lessons and assessments. Based around the Malvern Hills. Ledbury and surrounding area. Office based in the Malvern Hills Area. French and German classes for parents and toddlers, kids, and adults. Kate offer lessons in Malvern, Hereford and Bromyard. Free Delivery in the Malvern Hills Area. Whether it's a website, a logo, a simple leaflet, or complete branding you're after, Graphic Designer, Julie is here to help. Supply and fit all makes of garage doors available on the market - so if there is something else you have in mind, be assured we will have the brochure and the knowledge to offer advice. A Friendly, No-Pressure Approach to Garage Door Sales. For your garden maintenance needs including planting, mowing, general maintenance, decking, fencing, jet washer service. Collecting your garden waste in wheelie bins. Inc. boiler repacements, full central heating systems and plumbing. Professional logos, business cards, web graphics and leaflets to promote your business. Beautiful printed stationery for weddings, birth announcements, parties and all celebrations. Great family activity and fun for all ages with a huge range of pottery to paint. All pests treated including Insects, Rodents, Moles and Bed Bugs. Hado Polythene is a polythene bag and packaging manufacturer based in Malvern. Producing quality polythene bags and polypots (Hadopots™) for a broad range of industries. Including clear bags, printed bags, tinted bags, coloured bags, polypots (Hadopots™) and refuse sacks, whilst we also carry a large range of sizes in self seal bags. Also available are other packaging solutions such as boxes, pallet wrap and bubble wrap. The Ticket Office and Shop is open every day from 10.30am - 5.00pm. Need a hand around the house? Hands on are here to help with your household cleaning jobs! Based around the Ledbury and Malvern Hills area. For all your old job requirements around the home and garden. Providing IT services, support and database design services. Learn mindful movements to strengthen your body, release tensions & clear your mind. Heartland Tai Chi offers day-time and evening classes in Malvern, Worcester & Pershore. Enjoy Tai Chi, meditation & Qi Gong (Chi Kung) in a friendly environment under expert tuition. Tai Chi is an art for living well and is suitable for people of all ages. Please call for more details on classes, workshops & events. Assisting you to live independently, assisting with paperwork and appointments,organise your house move, decluttering and practical advice and support. Based around the Malvern Hills and Worcester area. Let us take you home! Contentigne Holiday Cottages, Bussiere-Galant, 87230 Chalus, France. For all your property needs. A bespoke service to maintain independence and safety from the comfort of your own home. Care services provided around the Ledbury and Malvern Hills area. Resolve underlying emotional & physical causes of your problems. For more information please contact Kelda. All forms of household maintenance and decorating. Are you worried or stressed? Do you want to stop a habit or behaviour? Hypnotherapy & Cognitive Behaviour techniques can help you to overcome these concerns. Learn to drive with Ignition Driving School, and get professional, good value driving tuition. Based around the Malvern Hills and Worcester area. You're in good hands with Lesley, our fully qualified, female, driving instructor. Lesley will get you driving around the test locality so that you will be super confident when your test day arrives. For further details please contact Rachel Dawson. Based in Malvern. Local delivery and collection available. Based around the Malvern Hills area and beyond. Rejuvenate... with a genuine hydromassage from Jacuzzi. A wide range of designs available in silver, gold and bronze. Bespoke design service available for special occasions. Classes held in Worcestershire and Herefordshire area. Classes held at the Inner Place Ledbury. Specialising in postural assessment, correction and back care rehabilitation opens a centre for back pain, Pilates training and myofascial release therapy in Malvern. For Door Supply and professional door furniture installation. Based in Worcester we offer a number of affordable door installation solutions to domestic clients in the local areas. Luxury ice cream parlour on Ledbury high street. Join us for a coffee, pancakes and waffles plus our locally made artisan ice cream. Call Tony for a free quote. Providing a friendly, affordable and reliable bookkeeping service for all business types and sizes. To discuss your requirement or for more information please call Kath. Professional and friendly Dog Walking Service. Supportive tuition tailored to individual needs. Providing individual lessons that target the child’s specific requirements in literacy and numeracy. These usually take place in the pupil’s home and ongoing feedback is given to parents. Please contact Eileen Pertwee for further details. Independent co-education for age 11 to 18. The King's Foundation in Worcester has three schools, two junior and one senior. Providing a tailored approach for all your accounting and taxation requirements. Based around the Ledbury area. Since taking over Ledbury Framing, Nolan has developed the range of services which include sales of original art, prints and mirrors, as well as a wide range of services including conservation framing and the mounting of objects and needlework. The Royal British Legion - Cradley, Storridge & Mathon can help! Different people have different ways of thinking and learning. While some bright people do well at school, other bright people find that their style of thinking isn’t catered for – and so they struggle. Little Marcle Farm Shop produces vegetables and salads freshly harvested from our family fun farm all year round. A local organic veg box delivered to your door. Delivery to Ross, Colwall, Malvern and Worcester. Please contact Chloe for further details. Local Electrician for all your household electrical needs. Experienced in commercial and industrial electrics, as well as testing. Please do not hesitate to contact Mark Williams for a FREE quote. Remote computer support within the Malvern Hills area. With 50 years digital marketing experience. Mad As a March Hare grow brand awareness, engages with consumers, inform & educate them about products and services - all at competitive rates. A family run business providing a high quality buffet service, catering for both private individuals and businesses in the Malvern and Worcestershire area. Please contact Jill Hudson for more information. Beautiful handcrafted rustic gazebo's and garden structures produced using timber from local woodlands we sustainably manage. Complete continuity of service from start to finish. Please call Ellen for more information and a free quotation. Barnards Green Dental Practice has been established since 1979 and really is at the heart of the local community. We are located in Malvern and have a wonderful reputation based on quality, trust and patient care. Any Electrical Work from a new fitting to a rewire. All work tested, certified & insured. Call Iain for advice & free quote. 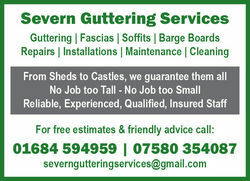 Covering Worcestershire, Herefordshire and Gloucestershire. Treatement in the privacy of your own home. Professional and affordable HR advice with practical and effective guidance for small and medium sized businesses. Kinesiology uses the body's natural responses to support health and wellbeing on all levels. Please contact Simon Webb for details. Full design and installation service for Kitchens and Bathrooms. Specialist in Balloon Decoration tailored to your occasion or event. Malvern Spiritual and Therapy Centre opened in Summer 2013. The owner Dawn Ryder has created a relaxing environment for clients to unwind. Located in the beautiful orchard at Dawn’s home the Centre offers a variety of holisitic therapies for ultimate relaxation. Clients can choose from a range of therapies – chakra balancing, reiki, KORE Therapy, ear-candling, reflexology and luxury facials. Angel and Tarot Readings are also available. Tutoring specialising in English across the key stages, also available for core subjects in the primary phase and dissertation proof-reading. Based around the Malvern area. Fully licensed to dispose of your waste legally and responsibly. Need something moving? We're here! All jobs considered - Office/House Moves, Ebay/Facebook Collections, Waste/Rubbish Removal and CLEARANCES. Competitive prices and full licensed. Please call Mike for a friendly and reliable service. Discover our extensive range of creative products including Ribbons, Felting and Craft Items, Wedding Supplies, Floristry and Floral Art Products, Seasonal Decorations and Workshops. Designing and making etched glass for architecture and exquisitely produced batik paintings on Indonesian cotton. Our clients have been entrusting their affairs to us for generations. We are proud to carry on our family tradition of giving sound and practical advice. *Web Development *Graphic Design *Social Media Marketing *Email Marketing *Photography *Video Production *App Development. Providing our customers with 24x7 support. *Fashion Design *Product Development *Technical Packs *Cut & Sew Production *Models *Photo Shoots *Video Production *Providing our customers with 24x7 support. From decorating to extensions & chimney rebuilds to landscaping. Just call for a quote. Cloud-based PBX, means you can locate phone extensions anywhere - home, UK or abroad. Mobility Aids including Scooters, wheelchairs, recliners, adjustable beds and more. 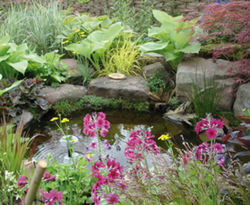 Providing a reliable garden maintenance service for homes and businesses. lawn cutting, landscaping, tree maintenance, hedge trimming, clearance, decking, paving, sheds, fencing, power washing and more. Covering the whole of Worcestershire including Malvern. Based in Malvern Hills area. A Worcestershire based Design Company designing Logos and Graphics for both Local and International projects, ranging from Corporate Businesses, to Charities, Musicians, Cafes, the Construction Industry and many more. Head Office based in Worcester. Spacious studio located on Castlemorton common with spectacular views. Joint Problems, Anxiety, Back Pain, Arthritis, Inflammation, Panic Attacks, Boost Energy and Reduce Stress. Please contact Jayne Blatchford for details. You can also enjoy a lovely range of refreshments at The Nest Deli Cafe, stocking local and artisan produce. All abilities Still Life Painting and Drawing Classes with Small Friendly Group. 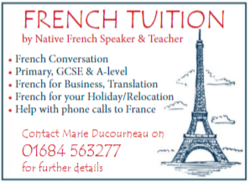 Private Tuition also available, including A Level and GCSE support. A nutrition and health coach can work as your partner, helping you to achieve your health goals at your pace. Making adjustments to your nutrition and to your lifestyle can make a real difference to the way you feel! We offer a comprehensive range of services from a one off consultation or tuition session, to a full design or garden maintenance service. 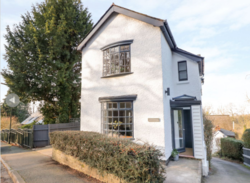 Located in the heart of Colwall Village with close access to the train station. Downstairs accommodation. Please contact Sue Allen for details. Call Stuart for more details. Joanne is a local freelance photographer that loves capturing special memories on film. Specialising in photography of pets and children. Providing a highly skilled, efficient and friendly service for your legal matters. Make life easier with our simple solutions. Daily Living, OT & Physiotherapy Aids. Cleaning your oven is the one job most people hate to do, so why spend hours cleaning it yourself, when we can do it for you. Worcester based specialist covering Worcestershire and beyond. Call today to have your oven, hob, extractor or Aga professionally cleaned. Here at Papersky, we lovingly capture special memories, showcase unique artwork and make beautifully handcrafted products. Preparation of accommodation for selling & letting. The only independent Italian restaurant nestled in the heart of Great Malvern town centre. Peppe's provides a relaxed, welcoming atmosphere for all the family. Serving delicious, freshly prepared dishes inspired by our Italian/Sicilian influences. We cater for many dietary requirements including vegetarian, vegan and gluten-free options. Get your hand on our Real Bread! Available at various locations including Ceci Paolo, Market House Deli, The Nest, The Hop Pocket, Greenlink Organise, The Cake Tin, Wallers Butcher in Colwall, The Fold and Mac & Jacs (Worcs). Peter and Shona's bakery is at The Hop Pocket Craft Centre in Bishops Frome. Comprehensive, individual assessment, clinical diagnosis and management plan. For further information or an informal chat please get in touch. Pickfords is the UK’s largest moving and storage company. They provide a variety of services to a range of clients. Pickfords have been moving people for generations and today the name is synonymous with moving home or business. Plato Catering Hire is an award winning event equipment hire company. Plato Catering Hire offers crockery, glassware, cutlery, linen, furniture and more for weddings and large events throughout the UK. They also won Event Equipment Hire Company of the Year in 2017. Serving Gloucestershire, Oxfordshire, Staffordshire, Derbyshire and West Midlands. Playhouse Nursery - All day care for children aged 6 weeks to 5 years old. Specialist in Central Heating | Complete Bathroom Design. Please contact Terry for 24 hour call-out service and free quotation. Serving delicious freshly prepared breakfast, lunch, cream tea, homemade cakes, barista gourmet coffee. Eat in or takeaway. English, Science, Maths, Business (tailored tuition for your requirements). By appointment at Unit 5, Hop Pocket Craft Centre, Bishops Frome. Let the Sunshine in this Spring! Please call us to book your free market appraisal. Doors, floors, windows, roofs, kitchens, and more! Help with household jobs requiring a punctual, professional and tidy handyman. Please contact Jonathon for more information. 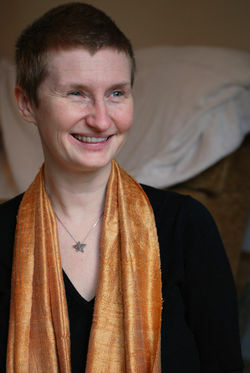 Rebecca uses a range of therapeutic techniques to help adults, children and couples. Her unique training and experience means she can help with: stress & anxiety; phobias; weight control and eating disorders; insomnia; addictions; chronic health management; self-confidence; bereavement and much more. Treatments at home or at Therapy Centre in West Malvern & Newent. Contact Paula for class details. Discover an eclectic mix of items from the past and present. Furniture, antiques, locally crafted ceramics and jewellery. Renaissance Fitness is a Personal Training gym in Ledbury, near Malvern. Unlike normal gyms we understand getting fit and healthy isn’t easy and having guidance and support is extremely important. Please contact Oliver for details. Fabulous choice of gifts, home accessories, jewellery, fragrances, scarfs, satchels and leather products. Where CareGivers are carefully matched to regular clients. Contact Richard Turner for a non-obligatory chat. Here at Sarah Jane’s Interiors we offer a complete interior design service from initial design ideas through to decorating and building works. Using our first-class design and make-up workshop and our own very talented seamstresses, we can create and produce whatever is required to achieve your dream. 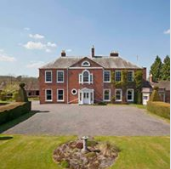 specialising in property & estate for sale and let throughout Malvern, Worcester and surrounding areas. Spend a day at our Working Farm. Computer call out & support for the over 55’s in the Malvern area. Classes in Ledbury and Malvern. Please call Teresa for more details. or business for more information. 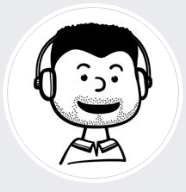 is passionate about helping businesses deal with all their employment matters effectively and helping managers to get the best out of their people. Courier collection and delivery services. Office base in Ledbury. Depo and office based at Ledbury. Balancing Touch offers physical, mental and emotional alignment through a form of bodywork called Zero Balancing combined with the skills of an experienced counsellor. Please call Teresa Cresswell to discuss your requirements. Tea on the Lawn Vintage China Hire Company hires out beautiful china and glass for weddings, parties and celebrations of all kinds to help you turn an occasion into a special occasion. 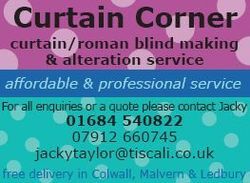 Huge selection of all types of blinds at extremely low prices. For a free no obligation quotation please phone. Worcestershire's new & exciting tapas restaurant. Serving Mediterranean & British tapas, 100 seat capacity. Beautiful river views. Offering treatments, a spa day, yoga classes, workshops, or a retreat. Situated in Great Malvern. The hotel is ideal for vacation stays, theatre breaks, business trips or events at the Three Counties Showground. Your Eco Cleaning Specialist delivering sparkling results without harmful chemicals. Domestic, Commercial, Pre and Post Tenancy, One-off complete Clean and Oven Cleaning. Laundry and Ironing Service. Landlord and landlady Martin and Jane McGrath serve fabulous real ales and provide a friendly Great Malvern welcome. introduces delicious culinary Argan Oil to Chefs and Gourmets with the promotion of a healthier lifestyle and socioeconomic support at the heart of what we do. Waste Goblin are a privately owned fully licensed trade waste removal service for local businesses and homeowners. Rubbish removal of garages, sheds, attics and all garden & household waste. Core strength, flexibility, improved posture. For more details please contact Jane Waterfall. Family Business with 30 years experience for all your decorating requirements. For information please contact Cassandra Eve. WILKINS CHIMNEY SWEEP is your local, friendly, professional chimney sweep. John Parker is very keen to provide an efficient, friendly service to homes and businesses around the Malvern and Worcester area. Bespoke Painters for over 13 years. Caring, family run, modern cattery near Ledbury. The home of made to measure fitted furniture. Family Martial Arts, Fitness and Fun! We offer martial arts, boxing, children's parties, summer camps, bootcamps and corporate fitness events. Specialist in bespoke gates, railing, handrails, bridges and anything else you might need. For a free quote & advice please call us. Come & browse our range of quality shrubs, unusual perennials, bulbs & annuals. just off the A4103 on the edge of the village towards Cradley. Multi-activity camp during the Summer in Abberley Hall School. Classes held in Malvern, Ledbury and Bransford. Malvern based Air Conditioning company with over 10 years domestic and commercial experience. Age 11 and over? Learn to drive with us.